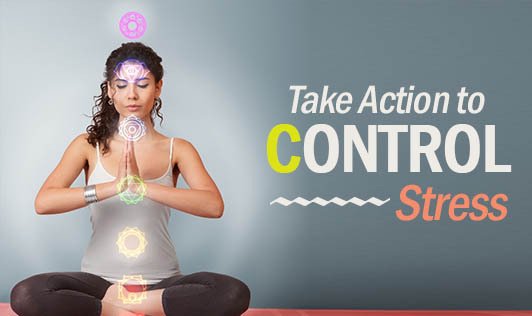 Healthy habits can protect you from the harmful effects of stress. Here are 10 positive healthy habits you may want to develop. Talk with family and friends A daily dose of friendship is great medicine. Call or write your friends and family to share your feelings, hopes and joys. Engage in daily physical activity Regular physical activity relieves mental and physical tension. Physically active adults have lower risk of depression and loss of mental functioning. Physical activity can be a great source of pleasure, too. Try walking, swimming, biking or dancing every day. Accept the things you cannot change Don't say, "I'm too old." You can still learn new things, work toward a goal, love and help others. Remember to laugh Laughter makes you feel good. Don't be afraid to laugh out loud at a joke, a funny movie or a comic strip, even when you're alone. Give up the bad habits Too much alcohol, cigarettes or caffeine can increase stress. If you smoke, decide to quit now. Slow down Try to "pace" instead of "race." Plan ahead and allow enough time to get the most important things done. Get enough sleep Try to get six to eight hours of sleep each night. If you can't sleep, take steps to help reduce stress and depression. Physical activity also may improve the quality of sleep. Get organized Use "to do" lists to help you focus on your most important tasks. Approach big tasks one step at a time. For example, start by organizing just one part of your life — your car, desk, kitchen, closet, cupboard or drawer. Practice giving back Volunteer your time or return a favor to a friend. Helping others helps you. Try not to worry The world won't end if your grass isn't mowed or your kitchen isn't cleaned. You may need to do these things, but today might not be the right time.